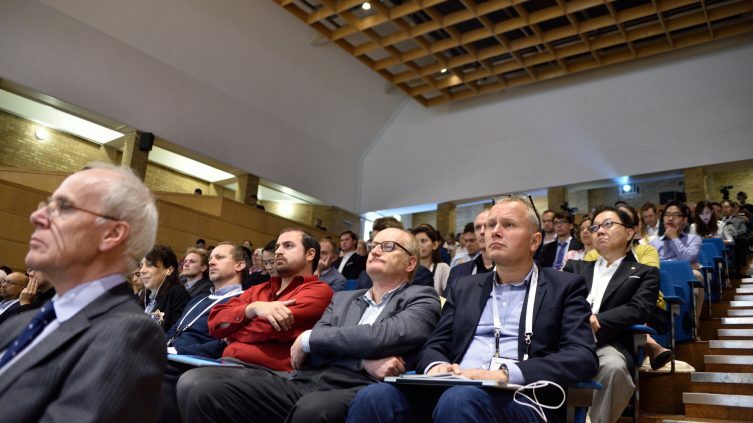 The Innovation Forum – Leaders Conference is a C-level conference gathering top leaders from industry, academia and government and mixing them with early stage ventures investors and researchers. 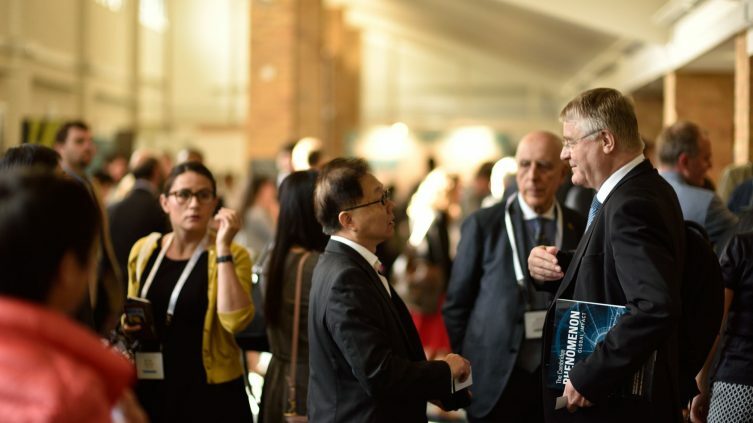 The conference is now in its fourth year and previous editions brought together over 1,300 delegates, stimulated thousands of conversations and catalysed numerous partnerships for the next generation of innovative technology. The conference is centered on innovation in deep science industries, with a particular focus on pharmaceutical, biotechnology and healthcare sectors. Do you want to attend and be surrounded by leading investors and innovators? Professor Sir John Bell GBE, FRS is Regius Professor of Medicine at Oxford University, and Chairman of the Office for the Strategic Coordination of Health Research. He served as President of the Academy of Medical Sciences from 2006 to 2011. As a Rhodes Scholar (1975-78), Sir John undertook his medical training in the UK and then went on to Stanford University, returning to the UK in 1987. His research interests are in the area of autoimmune disease and immunology where he has contributed to the understanding of immune activation in a range of autoimmune diseases. In 1993, he founded the Wellcome Trust Centre for Human Genetics, one of the world’s leading centres for complex trait common disease genetics. 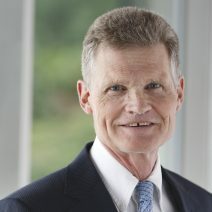 In 2001, he was appointed non-executive director of Roche Holding AG and in 2008 he joined the Gates Foundation Global Health Advisory Board which he has chaired since 2012. Sir John was responsible for the working party that produced the highly influential Academy of Medical Sciences “Strengthening Clinical Research” report that highlighted the need for the UK to focus some of its attention on developing expertise in translational research. 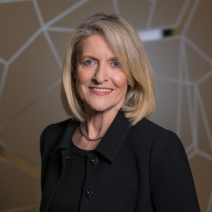 Kath Mackay is Interim Deputy Director of Health & Care at Innovate UK, the UK’s innovation agency and prime channel by which the UK Government incentivizes innovation in business. Kath leads a team delivering programmes across high value areas for UK health and biomedical businesses. These include advanced therapies, precision medicine, medicines discovery, digital health, disease prevention & wellbeing, antimicrobial resistance and vaccines, biosciences, the Biomedical Catalyst and Small Business Research Initiative. 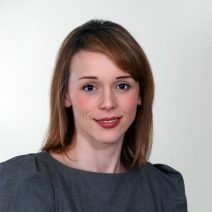 Kath joined Innovate UK in 2013 to co-manage the Regenerative Medicine & Advanced Therapies Programme. Dr. Bernhardt “Bernie” Zeiher serves as president of Development and has responsibility for all phases of drug development at Astellas. 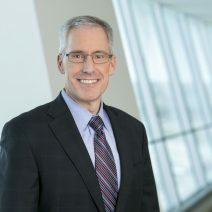 Prior to his current role, Dr. Zeiher was executive vice president and Therapeutic Area head, Immunology, Infectious Diseases and Transplantation at Astellas. Of note, he led the development of Cresemba® (isavuconazonium sulfate), which received Qualified Infectious Disease Product (QIDP) designation from the U.S. Food and Drug Administration and was recently approved for the treatment of two rare invasive fungal infections. Prior to joining Astellas, he served as the vice president of the Inflammation/Immunology therapeutic area at Pfizer. Dr. Zeiher earned his Doctor of Medicine at the Case Western Reserve University School of Medicine, and completed an internal medicine residency at University Hospitals of Cleveland as well as a fellowship in Pulmonary and Critical Care Medicine at University of Iowa Hospitals and Clinics. Dr. Zeiher has received several awards for his work in pharmaceuticals, including being named a Fellow by American College of Physicians in 2004, awarded to those who demonstrate knowledge and compassion towards teaching others. Nick is Director of Commercial Development at the Oxford Academic Health Science Network where he is responsible for working with industry, the NHS and academic partners to commercialise new innovations in the digital, medtech, diagnostics, and pharmaceutical sectors. His focus is on building partnerships to support the adoption of new technologies into the NHS. Nick has over 25 years’ experience in commercial and business development in the life sciences sector. He has an MA in Natural Sciences and a PhD in the Philosophy of Science from Cambridge University. After leaving university he set up a vaccine company before working in blue chip life science companies such as PowderJect Pharmaceuticals where he was VP Corporate Affairs, responsible for strategy and government affairs. He has also had extensive experience as a consultant, specializing in strategy and corporate finance support working with public and private sector clients. From 2006-11 he was a special industry consultant to the BioIndustry Association working on pharmaceutical pricing and uptake. He played a leading role in representing the life sciences industry position on the drafting and passage of the Biotechnology Patents Directive through the European Parliament in the 1990s. 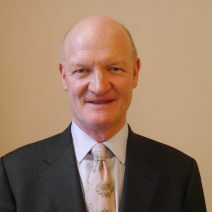 He was awarded the MBE for services to biotechnology in 2001. He is a Director at the Oxford Martin School. Jeanne received her medical degree from University College Dublin. She also holds diplomas in Child Health (NUI) and in Finance and Accounting (ACCA). She is a Fellow of the Royal Academy of Medicine of Ireland (RAMI). She has served as the sole pharmaceutical industry representative on two Irish government task forces seeking to enhance the commercialization of IP from Irish academic centres. She is a visiting lecturer on the MSc Pharmaceutical Medicine curriculum at Trinity College in Dublin, Ireland. 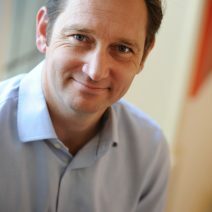 Richard is the Head of Johnson & Johnson Innovation Centre, London. 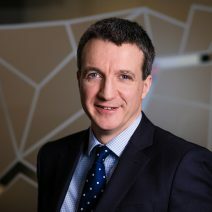 He is responsible for Johnson & Johnson Innovation across EMEA and is Head of the London Innovation Center. Prior to joining Johnson & Johnson Innovation, he was CEO of XO1 Limited until the company was acquired by Janssen in March 2015. Prior to his role at XO1, Richard was Head of Strategy and Business Development at specialist pharmaceutical and medical device company BTG Plc, where he led its transformation into a leading interventional medicine company through multiple acquisitions. Richard also served as an Executive-in-Residence for Advent Venture Partners LLC where he was a turnaround CEO for several portfolio companies. Previously he was Senior Vice President, Business Development at Cambridge Antibody Technology (CAT). Richard trained in medicine at the St Bartholomew’s Hospital Medical College and worked in clinical practice in internal medicine before entering the biotechnology industry. He also has a degree in immunology from UCL and an MBA from The Judge Business School, University of Cambridge, where he is currently a Fellow in Healthcare Management and teaches the MBA elective in biotechnology and pharmaceuticals. Richard resides near Cambridge, UK. In his spare time Richard enjoys skiing, running, flying and sailing. 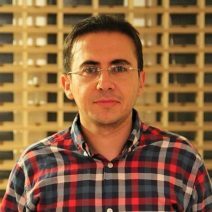 Peyman Gifani, obtained his PhD from the University of Cambridge, Department of Engineering. He then gained a Cambridge/ Wellcome Trust Senior Interdisciplinary Research fellowship to work jointly in the Cambridge Systems Biology Centre (Department of Genetics) and the Machine Intelligence Laboratory, (Department of Engineering). Through his career, he has gained multidisciplinary experience in areas including systems and synthetic biology, drug discovery, nonlinear dynamical systems, machine learning and AI. He is a former committee member of the Cambridge University Entrepreneurs (CUE). Prior to his PhD, he co-founded a biotech company that won several awards. 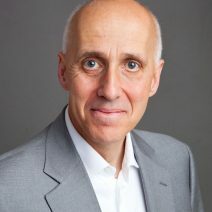 He is the founder and CEO of AI VIVO as a Cambridge, UK-based company with a unique computational platform to accelerate drug discovery via intelligent systems pharmacology. AI VIVO provides an innovative methodology that captures nonlinear dynamics hidden in biological data and translates them to novel unexpected discoveries. To achieve predictions with unparalleled accuracy, a proprietary data representation algorithm unfolds insightful data associated with diseases, drugs, and targets as input to our optimised prediction engine powered by artificial intelligence (AI). Using the AI prediction engine, AI VIVO develops a portfolio of IP-protected, pre-clinical discovery programmes as differentiated assets with a much higher probability of clinical success. TARGET DISCOVERY: custom discovery programs for novel target/pathway identification using A unique data representation for common and orphan diseases. LEAD OPTIMIZATION: perform lead discovery campaign in diverse therapeutic areas to identify compounds that reverse disease phenotypes. COMBINATION THERAPY: Predict compound combinations to improve the efficacy of current therapies, drug resistance, and differentiation protocols. MOLECULAR DE-NOVO DESIGN: Design new compounds using the AI engine that can learn to generate structures with certain specified desirable properties. THERAPEUTIC REPOSITIONING: leverage approved drugs, existing development candidates or shelved assets through indication expansion. PRECISION MEDICINE: Discover biomarkers for patient stratification and smart clinical trial design. James Sabry is Senior Vice President, Genentech Partnering, where he oversees both Business Development and Alliance Management Groups. These groups have been considered to be some of the best in the industry. Sabry grew up in Toronto, Canada and received an M.D. from Queen's University in Kingston, Canada. Completing an internship in internal medicine at Toronto Western Hospital, he moved to Harvard Medical School where he completed a residency in Neurology, being named Chief Resident in Neurology in 1987. He then moved to San Fransisco and, in 1994, completed a Ph.D. in Neuroscience in the Biochemistry Department at UCSF while also holding an adjunct clinical appointment in the Department of Neurology. 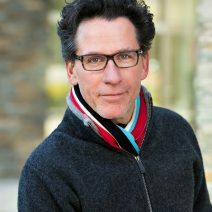 James was President and CEO of Cytokinetics until 2007. During that time, he grew the company from inception to over 200 employees and took the company public on NASDAQ in 2004. In 2007, he became Chairman of the Board of Directors and a member of their Scientific Advisory Board. In 2008, he became President and CEO of Arete Therapeutics, a company focused on the discovery and development of therapeutics for diabetes. In 2010, Sabry moved to Genentech to take his current position. He maintains membership on the Scientific Advisory Board of Cytokinetics. He is also on the external advisory board of QB3 at UCSF. Executive Chairman of CellCentric Ltd.
Will is Executive Chairman of CellCentric Ltd, an epigenetic-based cancer drug discovery and development company, originally spun out of Cambridge University. The lead product is a small molecule inhibitor of p300/CBP for the aggressive form of prostate cancer (CRPC), as well as other tumour types including bladder and haematological cancers. Additionally, Will is President & CEO of Cancer Targeting Systems Inc., a non-viral gene product company for cancer imaging and treatment, founded out of Johns Hopkins School of Medicine, Baltimore. Will gained a PhD in Immunology and Virology sponsored by Unilever (UniPath), before holding a post-doctoral position at the National Institute of Biological Standards and Control (NIBSC). He went on to Procter & Gamble Healthcare, where he was responsible for clinical development in a number of therapeutic areas, including respiratory and GI. Will holds a Masters degree in Clinical Research as well as an MBA from London Business School. Will is on the Board and Executive Committee of the BioIndustry Association (BIA). Previously he was on the Council of the BBSRC, which distributes £500m a year on bioscience research on behalf of the Government. He is a co-founder of Angels 4 Life Sciences, an investor forum which works closely with Angels in MedCity. He has mentored for OneStart, including two overall competition winners. The event promises to ignite fresh ideas and partnering opportunities. We believe that the best innovation is driven by interdisciplinary cross-talk. The Innovation Forum has a particular focus on pharmaceutical, biotechnology and healthcare sectors. The conference will also provide an interactive platform for emergent technologies to be showcased in regard to these sectors. Do you have an innovative business idea? Do you want to pocket some extra cash? 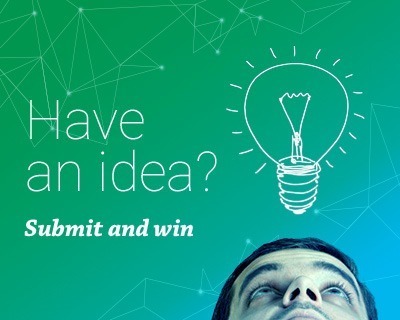 Do you want to present your idea to leading investors, be accepted to the IMAGINE IF! acceleration program and fast-tracked for funding? The Grand Finale of the IMAGINE IF! accelerator will be held as part of the Innovation Forum 2017 – Leaders Conference. The top 10 ideas will be pitched in ‘Dragon’s Den’ style in front of the judges.